Just for fun, I’m going to try to put a picture of what we get from the CSA, every week. I’m interested in seeing how the produce changes over the weeks. 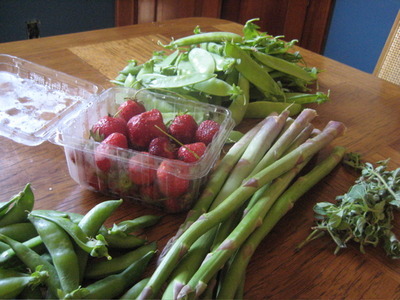 So here’s the picture from last week – strawberries, snow peas (over a pound! ), sugar snap peas, oregano, and asparagus.